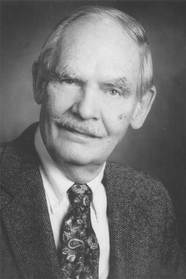 Frederik Pohl (1919-2013) was one of science fiction's most important authors. Among his many novels are Gateway, which won the John W. Campbell Memorial Award, the Hugo Award, the Locus SF Award, and the Nebula Award, Beyond the Blue Event Horizon, which was a finalist for the Hugo and Nebula Awards, and Jem, which won the 1980 National Book Award in Science Fiction. He also collaborated on classic science fiction novels including The Space Merchants with Cyril M. Kornbluth. Pohl was an award-winning editor of Galaxy and If, a book editor at Bantam, and served as president of the Science Fiction Writers of America. He was named a Grand Master of Science Fiction by SFWA in 1993, and was inducted into the Science Fiction and Fantasy Hall of Fame. New York Times bestselling author Kim Stanley Robinson introduces this new edition of Our Angry Earth, a call to action from science fiction Grandmasters Isaac Asimov and Frederik Pohl. Two thousand years after Pompeii's destruction, a thriller of upheaval—volcanic and political—as only SF Grandmaster Frederik Pohl can write it! In this Nebula Award-winning masterwork Man Plus by Frederik Pohl, astronaut Roger Torraway agrees to be transformed by science into Man Plus, the linchpin in opening the new Martian frontier for humanity, which is in danger of extinction on an Earth that is running out of energy and is hopelessly polluted. But Torraway will have his humanity challenged as no man has ever been challenged before. Returning to his bestselling Gateway universe for the first time in nearly twenty years, Frederik Pohl has written a science fiction novel to captivate the readers who helped Gateway and Beyond the Blue Event Horizon win the Hugo Award for Best Novel.